Bernard Tomic has come under heavy fire. TENNIS Australia has hit out at Bernard Tomic as the feud that has engulfed the sport intensifies. Tomic's explosive Australian Open interview where he dropped a series of explosive accusations aimed at Davis Cup captain Lleyton Hewitt created headlines around the country. 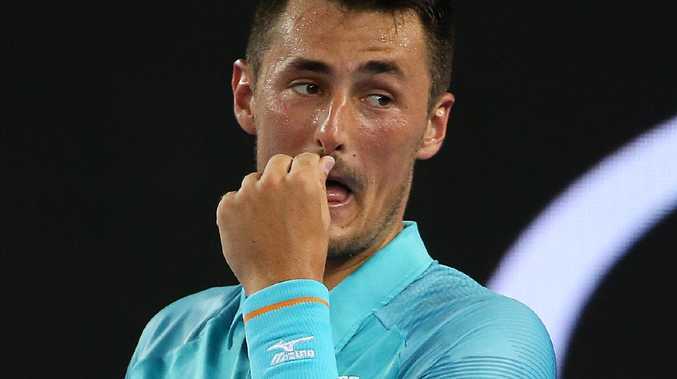 Tomic claimed no Australian players liked Hewitt, and his father later said Hewitt had left his son traumatised when he was 17 following an incident in 2010 when the tennis icon tried to pressure him into revealing who at Tennis Australia was "against" him. "Bernard said something on the television before that Lleyton didn't like," John Tomic told Fairfax Media. "(Hewitt) came into Bernard's room, closed the door and pushed (Davis Cup captain) John Fitzgerald out and he said, 'You have to tell me who from Tennis Australia is against me.'" 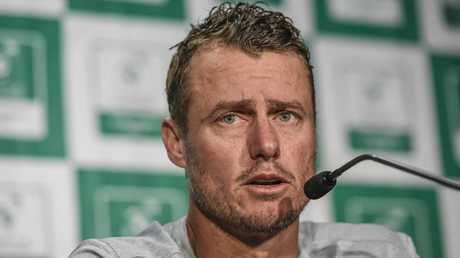 Hewitt added fuel to the fire by alleging Tomic had threatened his family and attempted to blackmail him since their relationship breakdown in 2017. Tennis Australia chief executive Craig Tiley issued a statement on Saturday saying the organisation was not aware of any incident or complaint of improper behaviour from 2010, and blasting Tomic for his toxic attitude and behaviour. "In regards to John Tomic's recent claim in the media about an alleged incident in 2010, we are not aware of any formal complaint lodged by either John or Bernard," Tiley said. "Both Bernard and John have enjoyed a lot of support since in many areas of their lives - including a long and sustained period of personal commitment and whole-hearted effort from Lleyton Hewitt as Davis Cup captain. "Lleyton is right to say Bernard will not be considered for Davis Cup. Bernard does not meet the standards of behaviour and commitment to himself, the team or the sport. 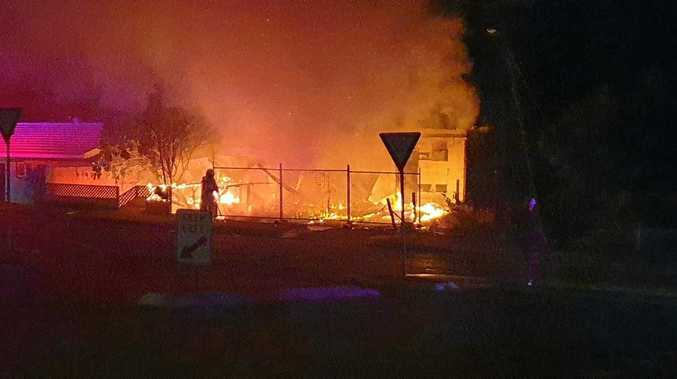 "Now, he is deliberately trying to damage that culture - and not for the first time. Our organisation remains deeply disappointed with the ongoing disrespect from Bernard and his father. "We have given more than a decade of support. Ultimately, we have to draw a line when the behaviour does not warrant the support." Tiley said Australia had a proud tennis history and expected all players to abide by the cultural standards set. Neither Tomic nor Nick Kyrgios were selected for the Davis Cup tie against and Bosnia and Herzegovina, which started on Friday. "Over generations of leadership, from Neale Fraser, John Newcombe, Tony Roche, John Fitzgerald, Patrick Rafter, Wally Masur and now Lleyton Hewitt, the Australian Davis Cup team has been renowned for a culture based on hard work, commitment to giving your best when representing your country and supporting your teammates," the statement read. "Our Davis Cup team has everyone's full support as we all look to maintain a strong culture which includes showing a love and respect for the sport and its history, and players all working hard to maximise their potential. "This is a cultural foundation established by legends of our sport through generations. On the tour, these players represent Australia every time they play. We support them in a manner we consider appropriate, always looking to uphold our cultural standards. "We expect players to be respectful of the sport and each other."